I just love Urban Decay palettes and after using my heat palette I just had to add another to my collection to give a whirl to see if I loved it as much. Moondust has been out for a little while now but I got this a month or so back because I was waiting for it to go in a sale before I purchased just in case I wasn't sure if I liked it or not for the money. I remember when I first got my first urban decay haul and that was way back when I was 16 nearly 12 years ago, where has the time gone? I honestly don't know. I loved the brand than when I first tried their products and still do to this day. I have a variety of eyeshadow palettes but most of them are just neutral and none of them is sparkly like this palette. I love how unique this palette is because most glitter eyeshadows are either loose or are wet in a gel-like substance. So yeah super happy they are pressed eyeshadow glitters, less fall out woohoo! Moondust is a glitter and iridescent dream! its crammed with 8 vibrant diamond-like shadows. 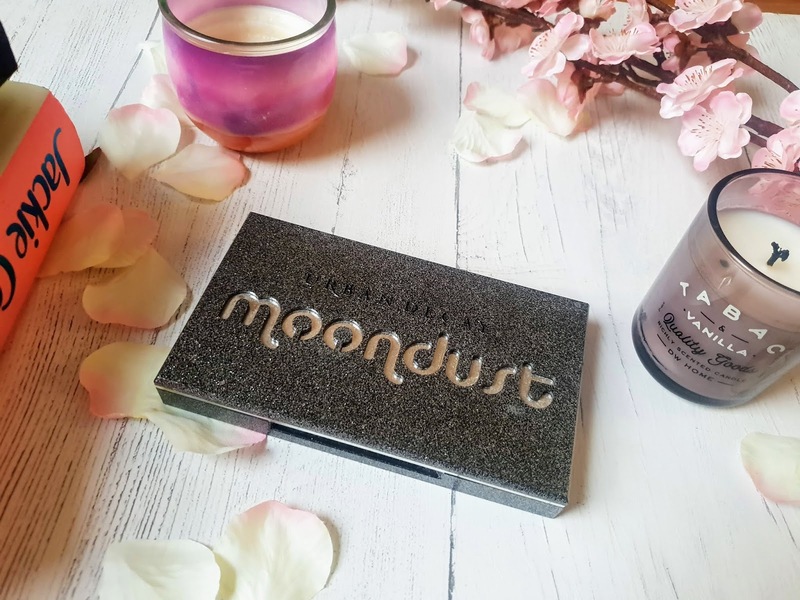 The palette itself is sparkly metal grey with a mirrored 'Moondust' logo. Inside the palette is a generously sized mirror and the shadows themselves are in circular pans with the names of the shadows underneath them. 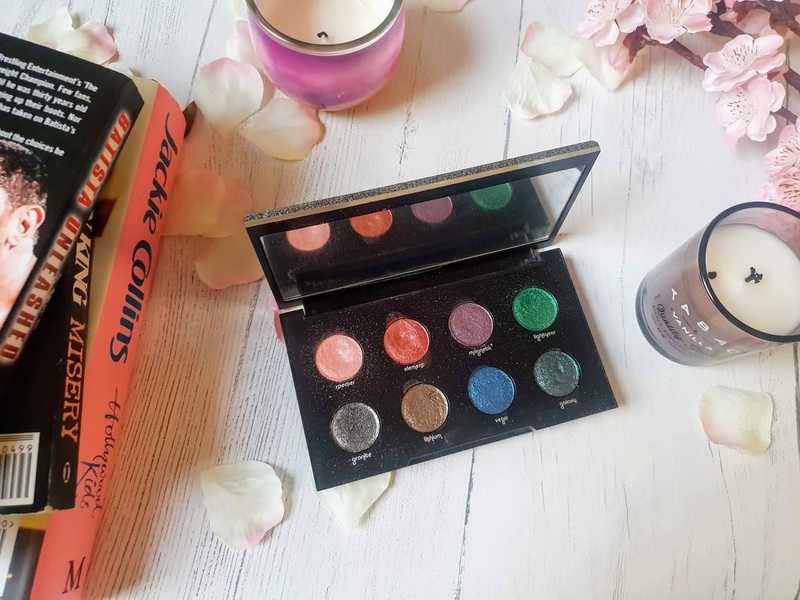 The first thing I noticed about the palette was how well made it is, it feels very durable and the mirror is perfect for applying eye makeup. The shadows themselves sparkle in the sunshine even just in the palette. The eyeshadows are extremely pigmented and very sparkly that it gave me a shock but a good kinda shock if you get me! I love lightyear it's super vibrant and sparkly I would say I wear this shade the most out of all of them. Applying these are pretty effortless compared to loose shadows because they usually have a lot of fallout. 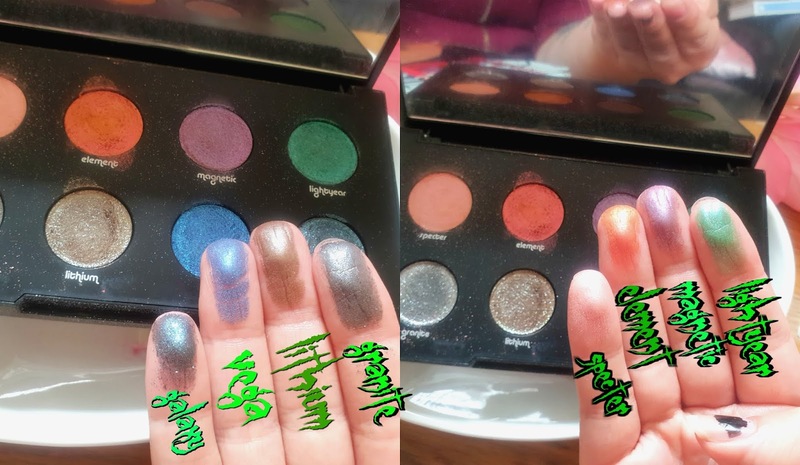 I am not saying this has none at all because I would be lying but it does have considerably less than other eyeshadow glitters I have tried before. I like applying this with my eco tools double-sided eyeshadow brushes ( the enhancing eye set) as they hold the glitter well and blend out eyeshadows perfectly. Before applying the shadows I like t apply an eyeshadow primer so it holds them better for a longer lasting wear. I also like to put my shadow on first before foundation etc so in case they are any fallout its easier to remove. 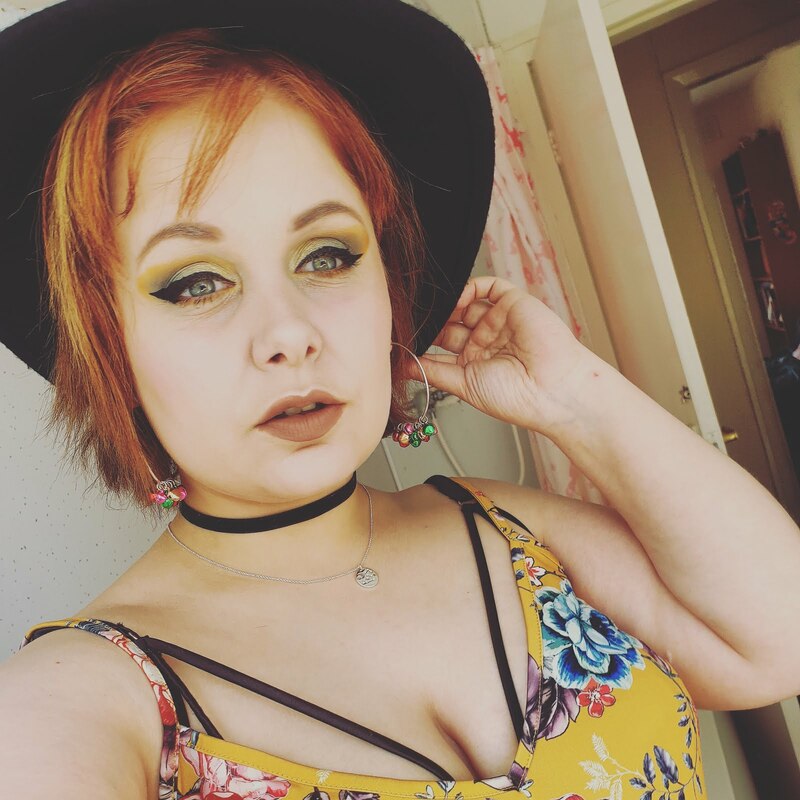 I absolutely have fallen in love with this palette! Its very pigmented and looks amazing; especially my favourite shade lightyear. It applies very easily for a glitter shadow and lasts all day with a good primer and makeup setting spray. It blends very nicely and can be used with other eyeshadows whether they be shimmer, matte or iridescent. 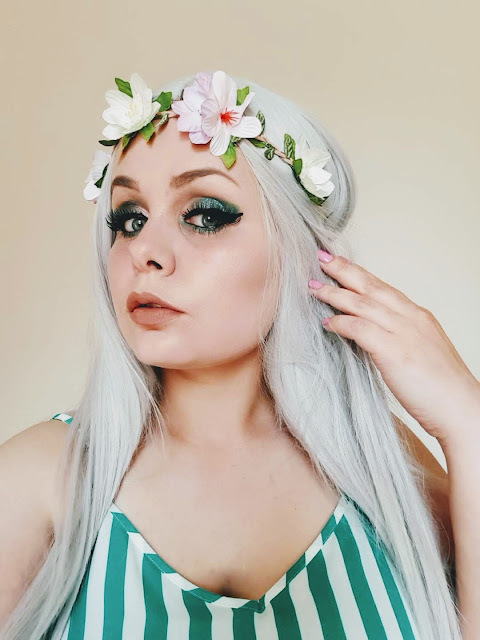 Not only do they look amazing they are super comfortable to wear even long wear like all-day wear: I have worn them all day and they feel no different than any other shadow as they feel super light but the only difference is they are sparkly. 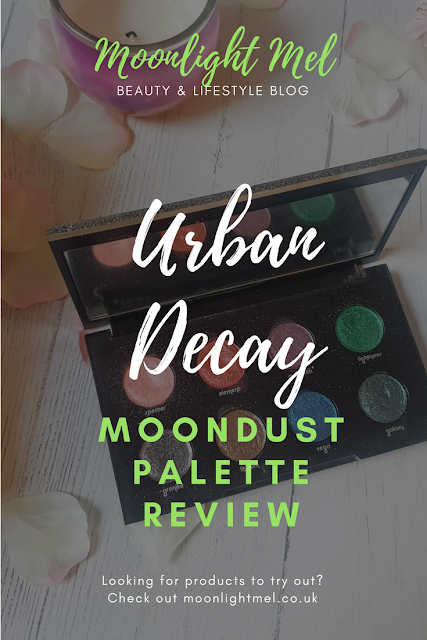 I do wish they had a bright yellow in the palette seeing as its named moondust; maybe I am being a bit picky but I think it would have fit inside perfectly. Have you got this palette? Which eyeshadow palette is your favourite at the moment? Amazing palette but I lose track a bit of what colour is in which palette. I have the Alice in Wonderland one (ancient now I know) but this one looks so pretty.